This is a heavy duty axe frog. The 2 inch wide O-ring is attached to the super strong steel hardware and mounted onto the frog. This frog will hold any axe and fits up to a 3 inch belt. 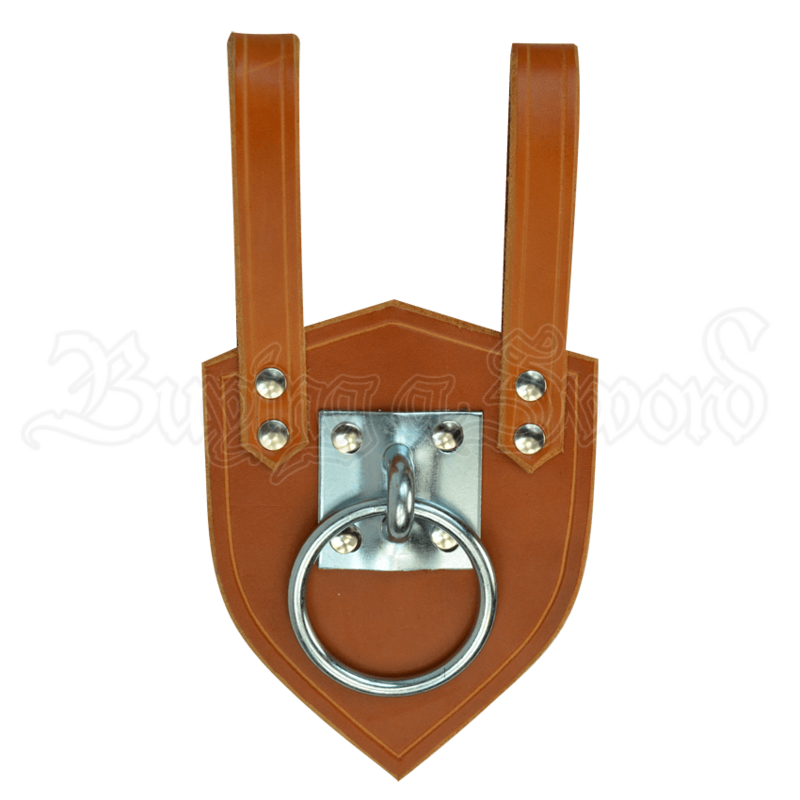 It is available in black or brown with steel Hardware. This accessory is a must for any reenactor or LARPer who favors hafted weapons.